Looking for reviews of cool Android Launchers? Read this article for review of one such Launcher - 91 Launcher Pro and see what it has to offer and how it performed in our review. 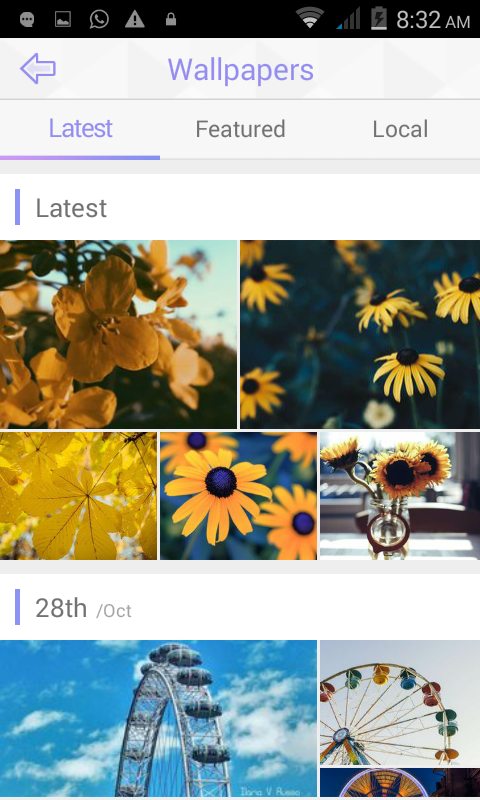 91 Launcher Pro is an Android launcher developed by Felink that brings with it a host of HD wallpapers, massive themes and personalized interface. 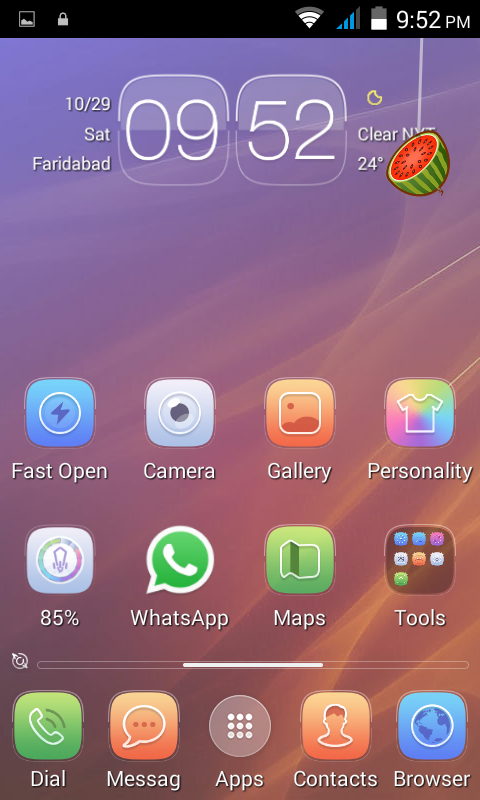 It supports Android 2.2 and above versions and brings some functionalities to your phone that are supported by the lateest versions of Android like Android ICS's resizable widget and app like folders where you can organize your same category apps like messaging apps. It makes your phone usage more fun and interesting by making use of systems that are simple, convenient and efficient. It is not just a launcher, but a power packed cosmetic upgrade for your phone. It has a massive library of themes and wallpapers. Just like Go Launcher app, you can download more widgets, wallpapers, icon packs and other add-ons if you are not satisfied with the ones available in the core package. 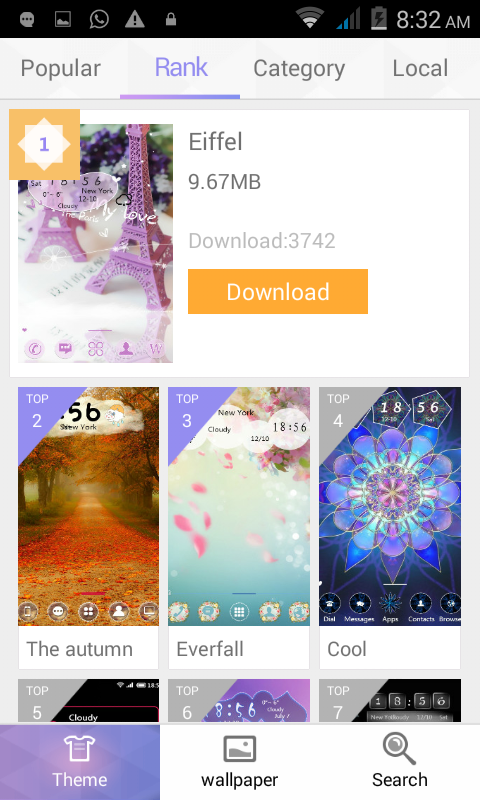 But before you go for additional downloads, let me tell you that the app itself has good selection of everything and in case you are not satisfied with it, 91 Launcher has over 3000 free themes and 7000 HD wallpapers all of which are available at no cost at all! These add-ons are designed by a number of different designers making sure you get the variety in design. These are updated daily in the library. 3D Touch, or Visual Effects as what we would rather like to call them, give you a nice magical feel when operating your phone. Fingertip – Wherever you touch the screen there would a color after effect. Desktop – You can flip your desktop to get a beautiful colored effect. There are many options to give different special effects to your phone and your imagination is the limit to how you make your phone more visually exciting. You can now have your favorite icons on the apps you use. You have a massive choice here too to choose what icon to use. It can be a full fledged theme to replace all stock app icons or you can use your album photosto create icons you want. If you have used Google Now functionality then you know how this works. Search for anything using this feature and you will be shown results from everything locally available on your phone including Contacts and SMS to everything from web, games and apps available online. 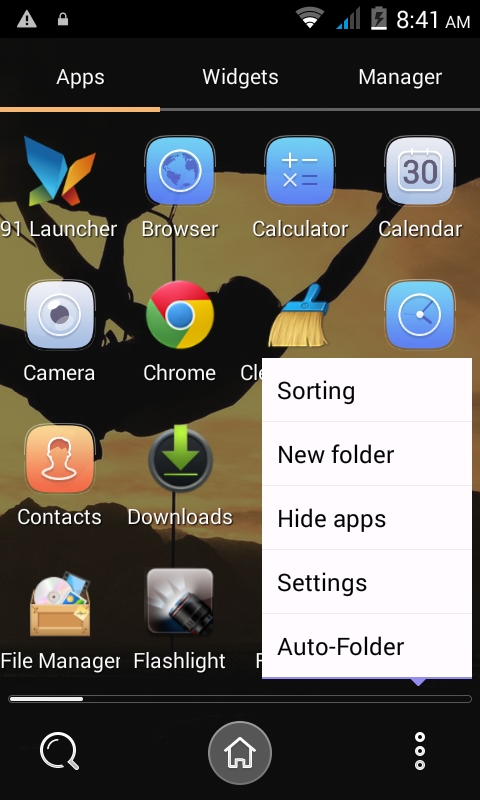 You can hide apps and folders using 91 Launcher Pro. This way all your personal apps are kept in a separately hidden pane. Otherwise you can also create passwords for particular folders which give you the added benefit of encryption. Instead of the whole file structure, you get the neatly organized file structure in the File Manager of 91 Launcher Pro. 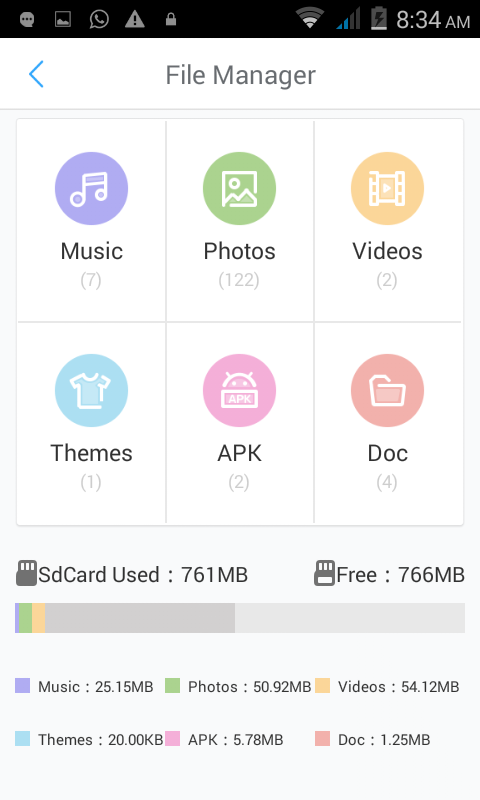 There are just 6 folders in which all your important files are organized in – Music, Photos, Videos, Themes, APK and Doc. It also shows the memory utilization by these files with details of Free and Used memory. 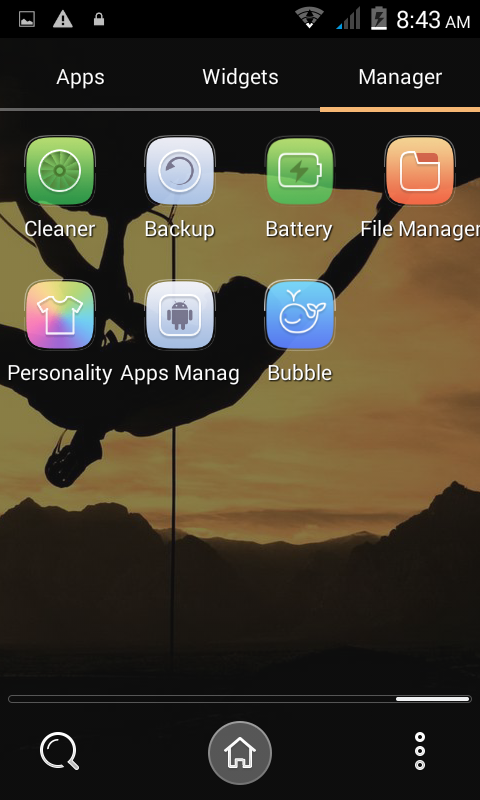 With 91 Launcher Pro you get a lot more tools like Battery Power management, Gesture Control, App manager, Cleanup manager, Backup tool, Weather app, etc. 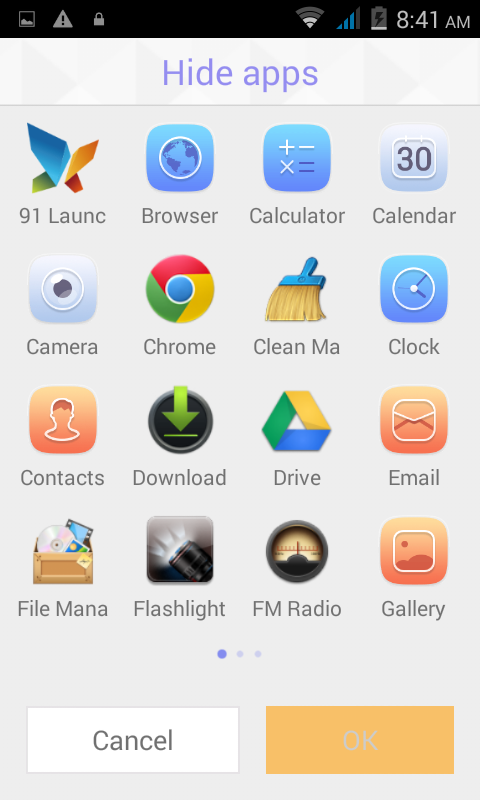 If looks of your phone matter much to you and you would like to have a fancy experience on your smartphone then 91 Launcher Pro is definitely a great choice. It not only offers you that but also provides you with a lot of useful tools along with it. You never run out of options for wallpapers and themes. There is something for everyone's taste. The Home button on the screen feels a little weird though since Android phone in any case have a hard key home button. What I like most was that I was using a low key Android smartphone where I was expecting crashes/hangs with the app however I am surprised how smoothly is my smartphone working even after installing this app. There are a lot of features in this Launcher and it was a little struggle figuring out which one is present where. For example it took some searching to find the Hidden folder feature. There is a Bubble app that comes with the Launcher. It is like a discovery app where you can find new useful apps and games. As 91 Launcher Pro learns from your usage, you can expect it to show more and more relevant apps with time. Overall, there is a learning curve with this Launcher but once you get the hang of it, you would definitely enjoy the app. 3. Requires very less system resources. We are happy to read your article. It contains a lot of information. Thanks for sharing.